Caliber Comics has announced a brand new creator-owned comic book series, Bayani and The Nine Daughters of The Moon, with the first volume scheduled to be released in September of 2015. A thirty-day Kickstarter campaign has been launched July 16th by creator Travis McIntire to raisefunds for the production of the first three individual issues that will encompass volume 1. Bayani and The Nine Daughters of The Moon is an 11-issue story carefully and meticulously crafted by writer Travis McIntire. Thematically, McIntire describes it as an old fashioned monster-hunter tale, only in this story, the kids are up against the scariest creatures lurking in the folklore of the aboriginal people of the Phillipines. The story follows Bayani, a boy of 11, who is desperately trying to care for his sick father (a fisherman) and keep food on the table for his small family. Unfortunately, the sun has been shining down on the islands for the last month and night refuses to fall. The land is growing parched from the constant heat and the fish are moving further and further away from shore. During this disaster the rain god, Pati’, recruits Bayani to undertake a quest that will require rescuing the nine daughters of Lady Moon from the horrible monsters of lore. 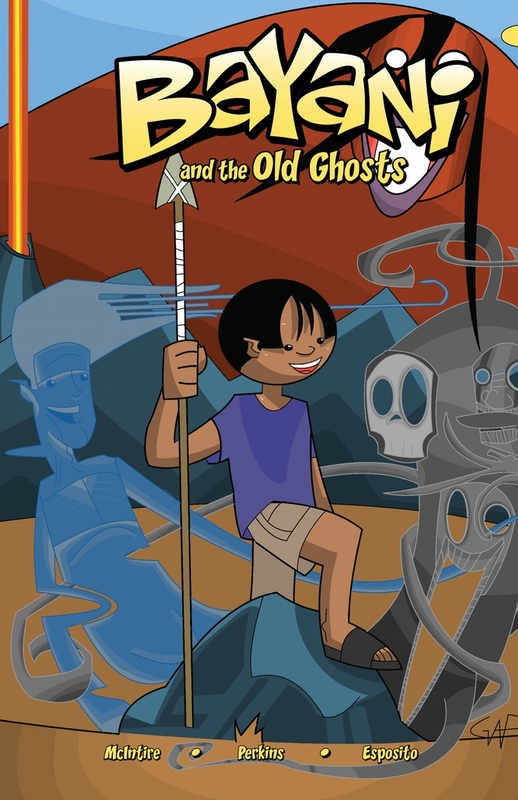 Bayani embarks on a great adventure with his friend, Tala, and using their wits, the kids defeat one hideous creature after another in their quest to rescue each of the Moon’s daughters.. The comic series is penciled, inked and colored by Grant Perkins (Image, Dreamworks, 2000AD, lettered by Taylor Esposito (DC). Graphic design work for the series is being handled by Rich Bloom, known for his work on C.O.W.L. (Image).